Yucay is a city of the province of Urubamba, to the northeast of the City of Cusco , in the Sacred Valley. When you are in Yucay, you will realize that it is one of the best places in the Sacred Valley of the Incas ; But not only for its ancient buildings or for all the Inca legacy that can be found in the place, but also for its fertile lands and its wonderful climate. One of the most interesting features of this town is that it was modified at many points in its history. And it is said that in the beginning, this city was originally the capital of the empire of the Incas. The historic and colonial district of Yucay is located 48 km from the City of Cusco and 71 km if you take the road on the side of Pisac. Yucay is located 500 m below the city of Cusco; This altitude gives one of the best climates in the entire Sacred Valley of the Incas. How to get to Yucay? 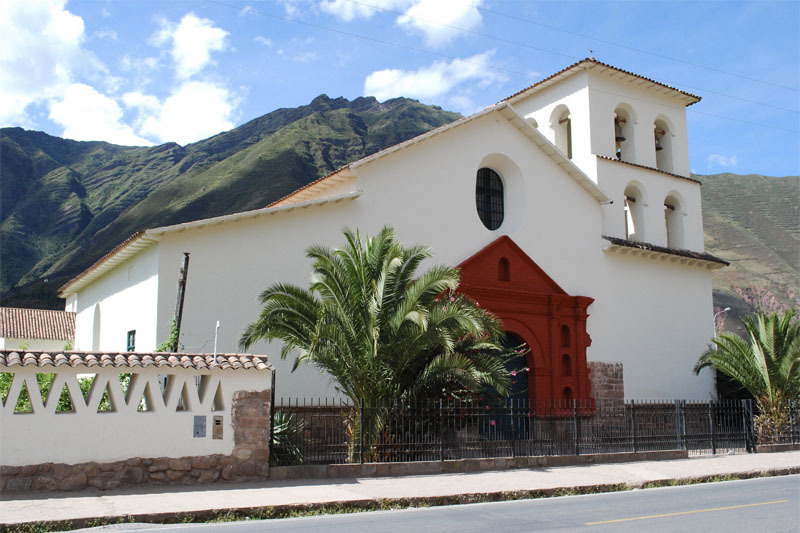 To get there, you will first have to take a bus to Urubamba , from Puputi Street in Cusco, and then take another to the town of Yucay; Not osbtante, the simplest way to arrive and to know Yucay, is in a tour organized by the Sacred Valley of the Incas. For more information, please contact us at info@boletomachupicchu.com . The present town of Yucay is built on the former property of Huayna Capac. He ordered the construction of palaces, platforms and an irrigation system that still exists; The stones with which the terraces were built were brought from far away areas to improve the production of maize and other crops in the area. It is said that this territory was also the favorite of the Incas Pachacútec and Wiracocha. Yucay was the main place of the Inca resistance during the conquest, commanded by Manco Inca; The rebellious Inca assembled an army to confront the Spanish invasion, but was defeated by the Canaris (indigenous to the service of Francisco Pizarro) led by Apu Chillche. When Sayri Tupac (son of Manco Inca) took command of the empire, yielded immediately before the conquerors and stopped the civil war; In exchange for this they gave him the lands of Yucay, and lived there until he died poisoned by the executioner of his father, Apu Chillche. In 1823 Simon Bolivar remained for a time in this place, exactly in the hacienda house Orihuela. What to see in Yucay? The whole village is full of beautiful buildings built throughout its history. One of the most outstanding features of the village of Yucay are its two main squares that house giant Pisonay trees. These are divided by a colonial church called Santiago Apostle. In this place bloody battles were carried out during the resistance against the Spanish invaders. In the square Manco II can be appreciated the palace of the ñusta and remains of what was the palace of Sayri Túpac. 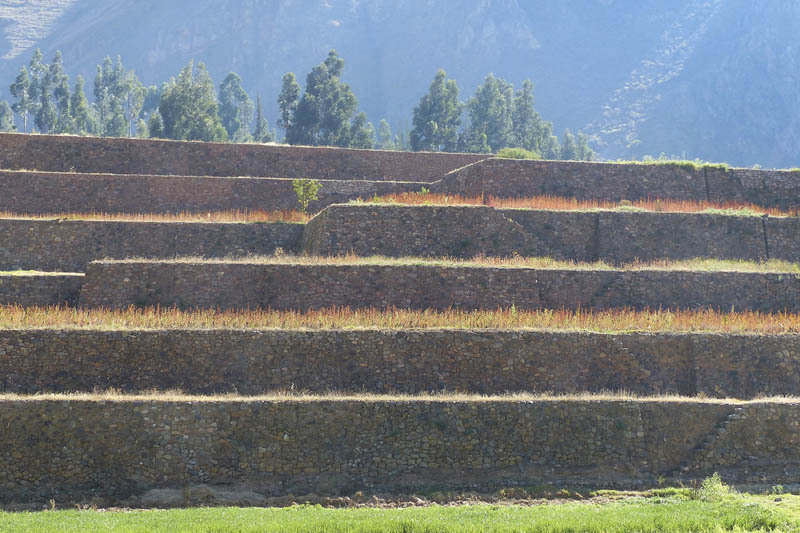 In this place you can find the largest andenería in all Sacred Valley of the Incas. These platforms are still used today; To reach them, you will have to ascend by small pre-Hispanic steps attached to each platform. Here you can see the so-called Mythological Stone ; A stone formation in which the three levels of the Andean worldview can be distinguished: the Hanan Pacha (world of the gods) represented by a condor, the Kay Pacha (world of people) whose representation is a puma, and the Uhu Pacha (The underworld or world below) that is represented with a snake. It is a temple dating from 1650, built by Bishop Manuel de Mollinedo and the priest Juan Arias de la Lira. In the interior you can see valuable pieces of art and imagery, including the Santiago Apóstol, the main altar is made of gold leaf and silver plating. It is an Inca construction that should have been used for agricultural and religious purposes. In the archaeological complex you can find a prehispanic pottery oven in amazing state of conservation, as well as structures that seem to serve as a kind of lunar calendar. In this place have been discovered pictographs (form of graphic communication pertaining to the Neolithic) and rock paintings of 4,000 years of antiquity. In the place where these paintings were found, there were also remains of ceramics and skeletal remains, which give evidence of the many occupations of the place. It is reached through a path from the hacienda of Huayoqhari , it is a 4 hour hike through beautiful landscapes with ravines and the beautiful lagoons of Yanacocha and Quellococha, surrounded by native vegetation. In the village of Yucay you can ascend to the snowy San Juan (5,000 masl), is a very interesting place for people who like adventure and hiking. But we know that you do not come to Cusco just for Yucay, so check the availability of Machu Picchu Tickets; These must be reserved in advance, especially the ticket Machu Picchu + Huayna Picchu , which must be booked 6 months before.